Honor, along with its parent company, Huawei is taking the Indian market very seriously this year. Such seriously that both brands have launched four smartphones in the space of 15 days. The Honor 9N arrived later last month followed by the Huawei Nova 3 and the Nova 3i. Now, it’s time for yet another smartphone from Honor, namely, the Honor Play. 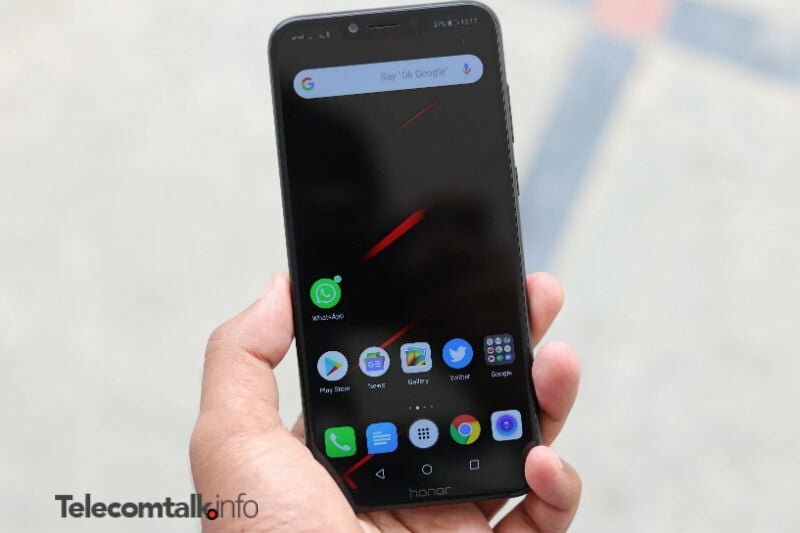 The Honor Play was launched in China last month at an aggressive price point, and guess what, Honor has launched the device at the same aggressive price in India as well. It’s worth noting the Honor Play is the powerful smartphone under Rs 25,000 in India right now. Having said that, the Honor Play has a lot going for it. It has the Kirin 970 SoC which also powers the Huawei P20 Pro smartphone that’s priced at Rs 64,999 in India. In China, the Honor Play has been launched as a smartphone aimed at Gamers, but in India, it’s launched as an ‘All Round’ smartphone, as termed by the company’s Senior Marketing Lead, Clinton Jeff. The Honor Play could well be the smartphone we’ve been looking for under Rs 25,000. During my 4-day usage, the Honor Play performed exceptionally- gaming performance was on point because it comes with the Huawei’s GPU Turbo technology, battery life was decent too, EMUI 8.2 has been optimised well by the company, and there are several other positives as well. Read on to know more about how the Honor Play during my usage. The Honor Play features a notched display on the front. The notch is a bigger one when compared to the one present on the likes of Honor 9N and OnePlus 6. The display itself a 6.3-inch panel with Full HD+ resolution. Thanks to the notch design, the phone doesn’t feel like a phone with such a massive screen. The Honor Play’s display is a good one with excellent viewing angles. One thing which caught my eye is how low the display goes in terms of brightness. Not to mention, at the highest brightness, the device can be easily used under extreme sunlight conditions too. Coming to the design, it’s the usual Honor stuff. No brand can beat Honor when it comes to design, and the same continues with the Honor Play. 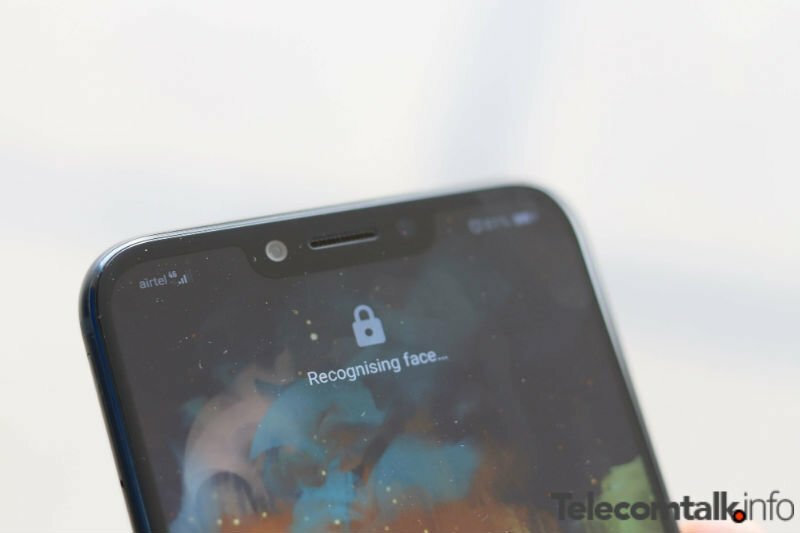 Even though the phone sports a not-so-unique notch design, when taken into hands, the handset feels unique. The phone is constructed out of metal, which is slippery in nature, but thankfully, Honor is bundling a TPU clear case inside the retail box. The phone comes in two colour options- Midnight Black and Navy Blue with the latter being my favourite. The volume rockers and power button are placed on the right side, while on the left side, there’s the hybrid SIM card tray which can accommodate two nano SIM cards or one nano-SIM card and a microSD card. On the bottom side, there’s a single loudspeaker grille, USB Type-C port and a 3.5mm headphone jack. Yes, the Honor Play sports a headphone jack too, unlike the Mi A2. 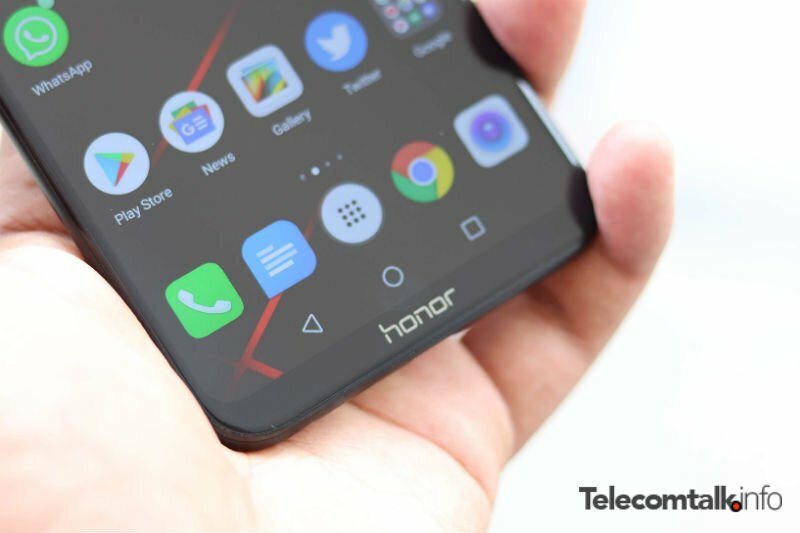 The Honor Play comes powered by the Huawei’s HiSilicon Kirin 970 chipset, which we earlier saw on devices such as the Honor View 10, Honor 10, Huawei P20 Pro and Huawei Nova 3. It’s a tried and tested chip which Huawei has optimised very well to the EMUI. The Honor Play, during my usage, ran through all the basic tasks with aplomb. I have the 4GB RAM variant whose memory management is not so great when compared to the likes of the OnePlus 6. Software side of things, the Honor Play is the first device in India to come with Honor’s GPU Turbo technology out of the box. Huawei claims that GPU Turbo tech boosts the performance by up to 60% and offers close to 30% more battery life. Having said that, developers have to support the game manually. At the moment, the latest sensation, PUBG supports GPU Turbo. During the gameplay, the phone rendered consistent performance without any frame drop. The phone boots EMUI 8.2 out of the box based on Android 8.1 Oreo. EMUI is a heavily skinned user interface and offers tons of features such as AI Gallery, Party Mode, Bike Mode and so on. We will be bringing out a dedicated article on EMUI features very soon, stay tuned for that. Battery wise, the Honor Play is armed with a beefy 3750mAh unit which also has Huawei Super Charge support. I am still testing out the device, so there’s no verdict on the battery life at the moment. But what surprised me is the standby time. Before the Honor Play, I was using the OnePlus 6 whose standby time is extremely poor. The Honor Play lost only 1% of the battery every day during my four days of usage overnight. 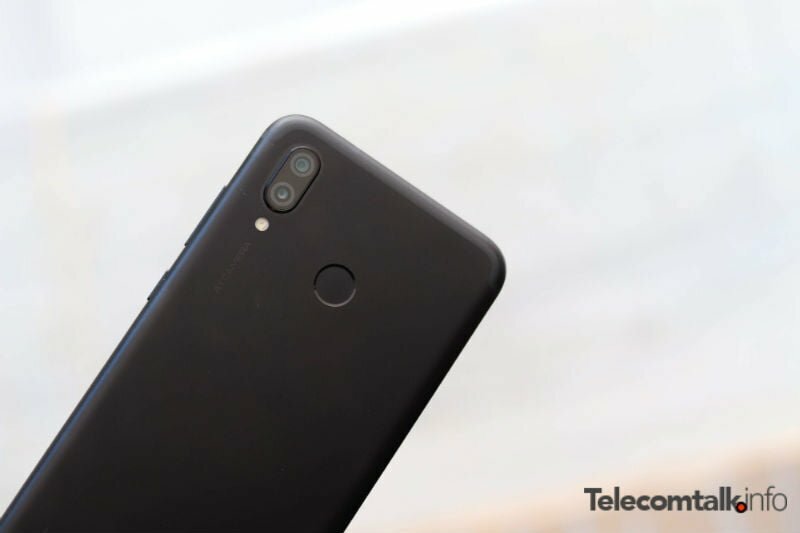 The Honor Play boasts of dual cameras on the rear side and without any surprise, Honor is touting the cameras as AI Cameras. A 16MP primary sensor works in tandem with a 2MP secondary depth sensor. 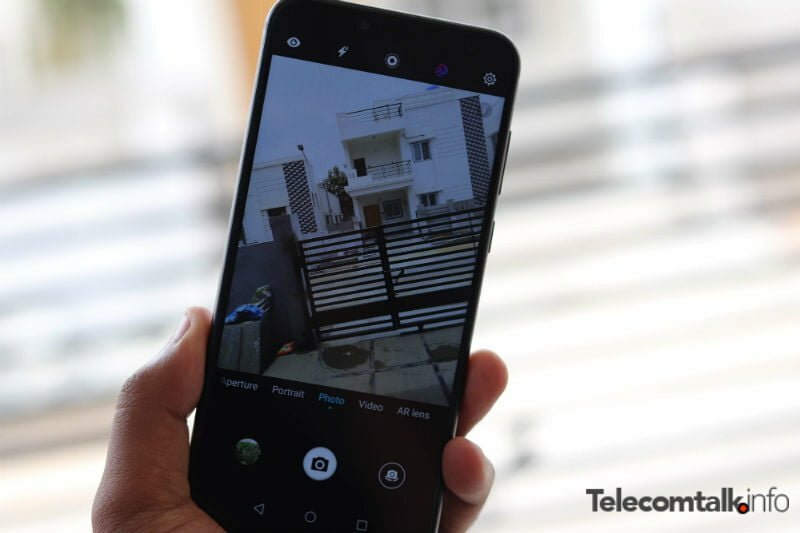 The camera hardware isn’t doing much here, but the camera app has a slew of features such as AI Scene detection, Portrait & Aperture mode and Honor has even added EIS support for video recording. On the front, the Honor Play sports a 16MP shooter with pixel binning technology. The front camera also has Beauty mode, Portrait mode and so on. Take a look at the samples shot on the Honor Play during my usage. The Honor Play is the powerful smartphone under Rs 20,000 price point. There’s a lot going with this device- right from the internal hardware to software, Honor has got everything on point. At the same time, the company has countered the Mi A2’s launch in the best way possible. The Honor Play is priced at Rs 19,999 for the 4GB RAM variant and the 6GB RAM variant comes at a price of Rs 23,999. Both the variants ship with 64GB of onboard storage. Stay tuned for our full review which will go live later this week and yes, the phone can be purchased on Amazon starting today at 4 PM. Kirin 970 SOC has cat 18 LTE modem which supports 1.2 Gbps 4G speeds 5CA, 4×4 MIMO according to their website. 1.2Gbps is 6CA. 5CA is 1Gbps. Samsung never launched Snapdragon variant in India.How you know about it? It is sold in US and China itself. But why honor will be worried about royalty if its thier own chip. Honor doesn’t pay royalty to Qualcomm for CA. They use their own solution for CA. It might have 2CA. Nothing beyond that. honow View might have 3CA. Nothing beyond that. There is no way this companies can sell phones this cheap. Only few variants on T-Mobile have CA on S7 edge in US.Exynos variant hardly showed great speeds on any network in USA. I hope Honor launches Honor View 11 with exact same design and a better camera for 32000 WTH Kirin 980.